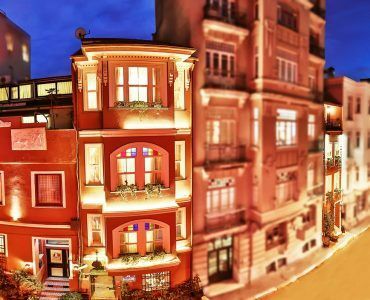 As a Beyoglu Boutique Hotel ; Faik Pasha Apartments is in the European Side of Istanbul . Beyoğlu is an Historical Neighbourhood which still has residents and Daily life. One of the restored historical buildings of Beyoğlu is Faik Pasha Suites-Apartments. As an Beyoglu Art Hotel Faik Pasha Apartments are also decorated according to the old life style of the past residents. Istanbul is an European and an Asian City which has an ancient history and culture. As an Istanbulite, I always recommed to Faik Pasha Apartments’s guests to cross the bridges from Europe to Asia. I beleive that Istanbul Design Hotel, should have special concept , atmosphere and unique approach to the tourism business .For example the Cihangir Brunch of Faik Pasha Cafe is very popular nowadays. While crossing the bridge by car or bus lets feel that you are also crossing from a continent to another continent. The wiew of the Bosphorus is amazing even in a rainy day.Enjoy this interesting trip by watching the sea,ships,seaside mansions,green hills and gardens.